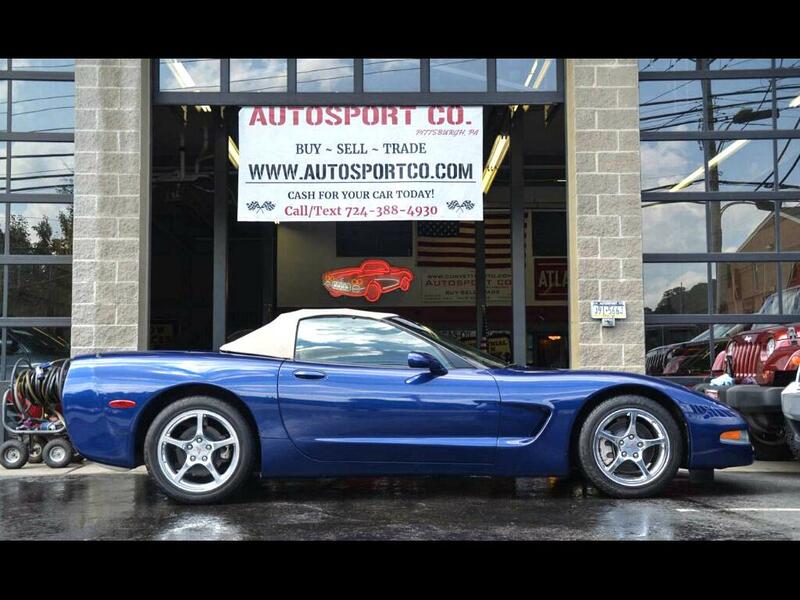 Used 2004 Chevrolet Corvette Commemorative Edition ~ Lemans Blue for Sale in Indiana PA 15701 AutoSport Co.
For sale is a beautiful 2004 Commemorative Edition Corvette Convertible with only 54k well kept miles! Factory options include; Commemorative Edition Package, LeMans Blue Paint, Shale Interior, Tan convertible soft top, Sport Seats, Heads Up Display, Automatic Transmission, Polished Aluminum Wheels, and Special Commemorative Edition badging. This car has all its original LeMans Blue Paint and it is in excellent condition. It has never been in an accident. The interior is in excellent condition. The engine compartment is all stock. The Aluminum Wheels are in great condition and the tires are like new. There is a bolt on aftermarket exhaust that sounds great and gives this Corvette an aggressive sound. The rest of the car is stock with 52k original miles! Please feel free to call Dave at 814-977-9219 or email us with any questions. This Corvette is at our Indiana,PA location , we accept trades and can help with financing options . Thank you for your interest!